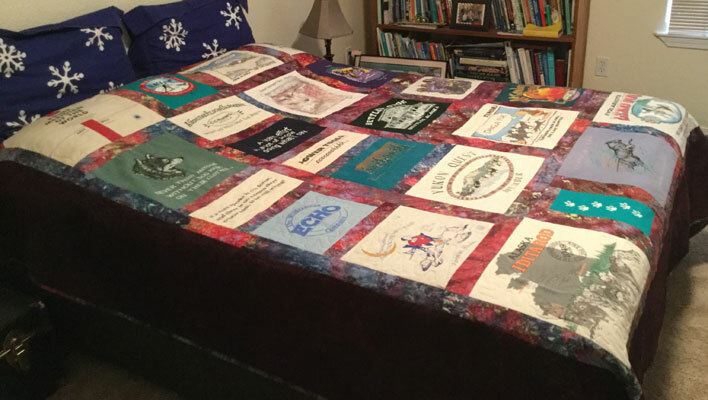 Several years ago my dear friend Mary asked for assistance with making a T-shirt quilt for her husband Jeff. The majority of the T-shirts were from Alaska so Mary wanted to use my snow dyed fabric. We spent the afternoon selecting several yard sized pieces that went well together. Might I say at this point that Mary is not a quilter and had no idea what she was getting into. 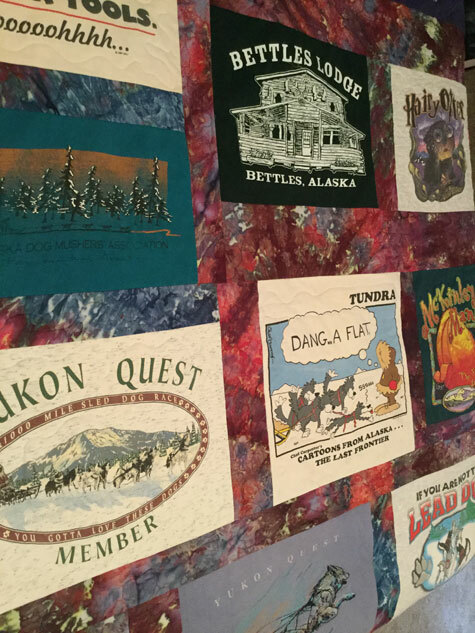 We started by stabilizing the t-shirts and then arranging them for the quilt top. As we lived four hours apart Mary found help in her area for assembling the quilt top. She sent me a sample of the color for the drops and I created a custom hand dyed color for the quilt. Mike & I just made a trip to Montana to visit Mary & Jeff. While admiring the quilt I noticed that not all of the basting had been removed. I thought that it was only appropriate that I finish the quilt Mary and I had started. It turned out beautifully. 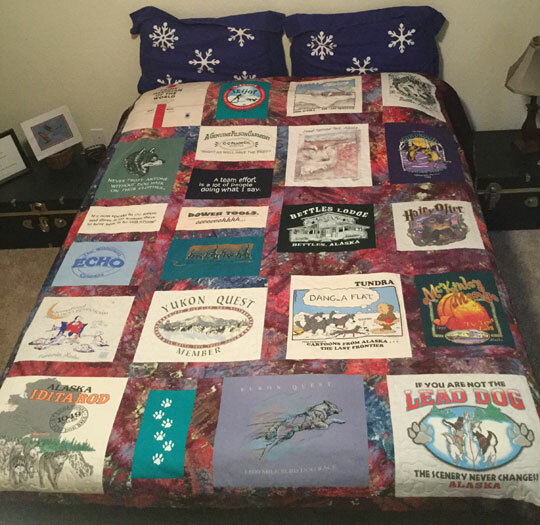 This entry was posted in Creations by Clients, Just For Fun, Quilts & Wall Hangings and tagged Custom Work, Hand Dyed Fabric, Hand Made Fabric, Snow dyed, Snow Dyed Fabric, T-shirt quilt by Suzi. Bookmark the permalink.